TS SET 2019 notification released and apply before April 26: Osmania University has announced the Telangana State Eligibility Test (TS SET 2019) date and other important details on its official website. The candidates who are wish to apply for the TS SET 2019 exam can visit the official website to submit their application form through online mode. The last date to apply for the TS SET 2019 test is April 26, 2019. The candidates are advised to submit their application before the deadline. 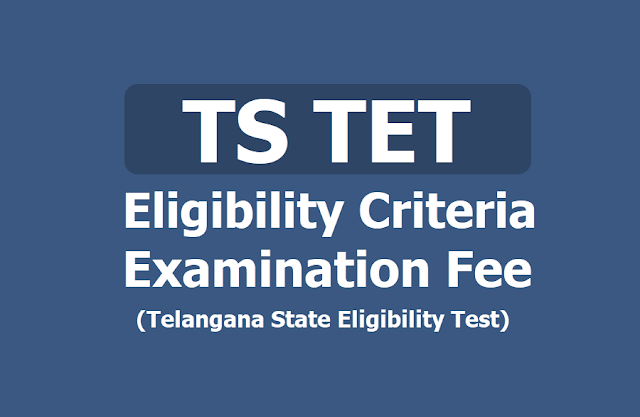 TS SET 2019 exam is conducted for determining the eligibility of Telangana Students for the Eligibility for Assistant Professor & Lecturer in Telangana Universities and Colleges. The TS-SET examination will be conducted in General Studies and 29 subjects in CBT mode in 10 centers spread over across the State. The Eligibility for Assistant Professor will depend on the performance of the candidate in both the papers of SET in aggregate. The candidates who qualify the Test for eligibility for Assistant Professor will be governed by the rules and regulations for recruitment of Assistant Professor of the concerned Universities/Colleges/State Governments, as the case may be. The hall ticket for the TS SET exam will be released on June 25. The candidates will have to login to download the admit card from the official website of the exam. The Telangana SET 2019 examination would be conducted on July 5,6 and 8, 2019. Educational Qualification: The candidates who have secured at least 55% marks in Master’s Degree (i.e., M.A., M.Sc., M.Com, MBA, MLISC, M.Ed., M.PEd., MCJ, LLM, MCA and M.Tech (CSE & IT only)) are eligible to apply. The candidates who are pursuing their Master’s Degree course or the candidates who have appeared for their qualifying Master’s Degree (final year) examination and whose result is still awaited or candidates whose qualifying examinations have been delayed may also apply for this test. Candidates belonging to other categories will have to pay Rs 1200/- as application fees if belonging to backward class will have to pay Rs 1000/- and SC/ST/VH/HI/OH/Transgender candidates will have to pay Rs 700/-. Question paper for TS TET Paper-I is common for all subjects in which SET is conducted and it will be bi-lingual (English and Telugu), TS TET Paper-II of certain subjects will also be bilingual. All questions of Paper-II will be compulsory, covering entire syllabus of earlier Paper II (Including all electives, without options). Candidates can check for more information through the official site of Osmania University.